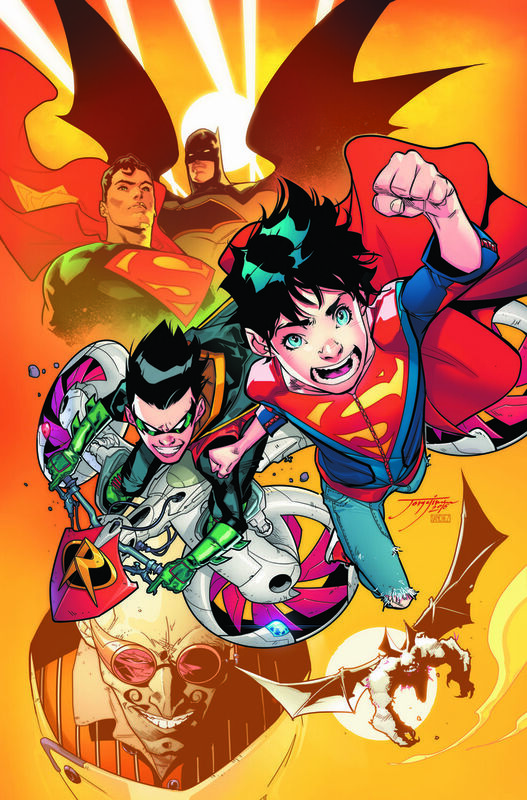 One of the titles I'm more excited about in this DC COMICS' REBIRTH is the Super Sons. 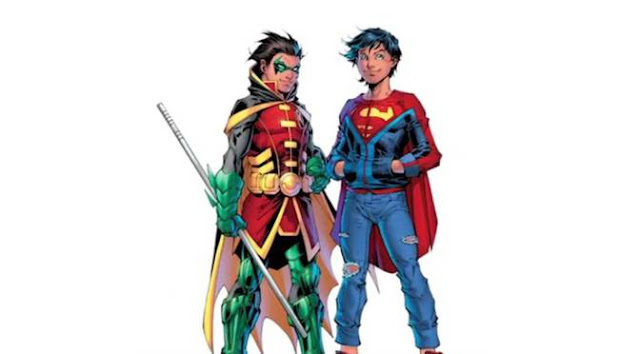 If you don't know there's a new Superboy in town and his name is Jon Samuel Kent, son Clark and Lois who first appeared in Superman: Convergence #2. 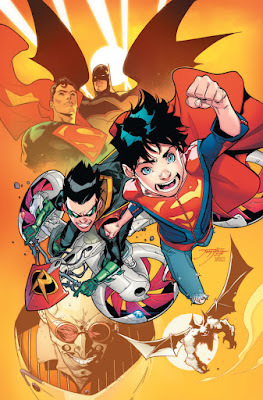 DC has no immediate plans for Conner Kent to come back to the comics in this Rebirth relaunch, so Jon is taking over as Superboy, the star of this new title. But he doesn't come by himself: Damian Wayne, aka Robin, is sharing the adventures. If you don't remember he's Bruce Wayne and Thalia's child. Now imagine a conceited and impulsive brat like Damian joining forces with the sweet Jon. I'm pretty sure there's a lot on the way of this improbable dynamic duo. And a lot of headaches for Batman and Superman, the proud dads.